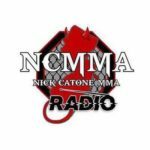 In this episode of Nick Catone MMA Radio, we interview Frankie “The Answer” Edgar as he prepares for Jeremy Stephens and UFC 205. We will cover a variety of topics including his current fight camp along with some tips for younger fighters. In addition we will discuss the state of the UFC and his thoughts on the featherweight division. Does he want another shot at the title? Last but not least we will talk about being the captain of one of the best fight team’s in the world.